When you first lease or finance a car you’re probably surprised by what a great deal you’ve found. And then you’re told that the price doesn’t include insurance. Or servicing. Or extended warranty. Of course, these are essential so you’re happy to pay for them. Then, just when you think you’ve got everything covered, you hear about Guaranteed Asset Protection insurance. “I have to have ANOTHER lot of insurance? !” we hear you ask in anguish. Actually no, you don’t have to. However, Guaranteed Asset Protection (or GAP) insurance is definitely something that you should consider. In this article we are going to explain what GAP insurance is, how GAP insurance works and whether GAP insurance is worth it. GAP insurance stands for Guaranteed Asset Protection but is also commonly referred to as Assured Protection or Guaranteed Shortfall Protection. 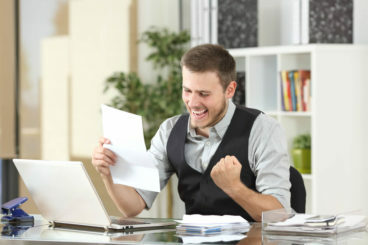 Essentially, it covers the difference between your insurance company pay out and what the finance company would ask for to cover their loss, up to a maximum claim limit. This means that if your lease car was ever written off or stolen, you won’t be in a negative equity situation. However, there is a “cap” on how much GAP insurance will pay off so, as always, it’s important you read the fine print of the insurance cover to make sure you go with the right policy. Combined GAP goes one step further. Combined GAP insurance will not only cover the difference between the insurance pay out and the finance settlement, but it’ll cover the cost up to the original cost of the car. What this means is that if you’ve been driving the car for 2 years and have an accident which writes off the vehicle, combined GAP will cover the difference between the amount initially paid for the vehicle and the insurance pay out. This means that any depreciation value of the car is covered. However, combined GAP is for customers who are financing their vehicle or purchasing it with cash. If you are leasing your car you won’t be eligible for this type of GAP cover. Contact the finance company and ask them for a settlement figure. This is what is remaining on the finance. Contact the insurance provider and find out how much they are going to pay out. Your insurance provider will only ever pay out what the market value of the car is at the point of accident or theft. Due to cars depreciating relatively rapidly, it is quite likely that the settlement will be less than what the car is worth. You will be expected to pay that shortfall. GAP Insurance will cover that shortfall. 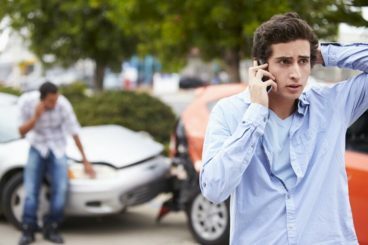 How Does Combined GAP Insurance Work? Okay, so say you’ve financed a new car with an invoice value of £20,000. You’ve driven it around during the last year, parked it outside work and not worried about it any further. Unfortunately, in a tragic twist of fate, someone crashes into it. The car is written off and the insurer values it at £14,000. You call up your finance house and they tell you your settlement figure is £16.000, which is higher than the amount your insurer has decided to give you. Luckily, you’re covered by combined GAP insurance. The combined GAP insurance ‘tops up’ your £14,000 value to the £20,000 invoice value. Combined GAP will clear off your negative equity and send you a cheque for the difference, so in this case £4000, which you could use to put down as a deposit on your next car. GAP insurance, both combined and otherwise, can be completely bespoke to your situation. In general, they’ll range from 2-5 years of cover and will vary in price depending on the vehicle values with different benefit payout caps. Like with any insurance, the more expensive the product, the higher the risk to the insurer and the more expensive the policy. Then again, the more expensive the product the worse off you’ll be if you have an accident/loss and the more economical it’ll be to invest in the insurance. As we’ve said, it’s not essential. If your car is written off or stolen, the insurance company will value it using tools they have available, which tells them how much similar vehicles have sold for recently. This is known as the current market value. You or your insurance company will then get a settlement figure from the lease or finance company which will be calculated by seeing how much was left of your agreement, deducting any interest rebate and then adding the expected value of the car at the end of the agreement. GAP insurance will cover the risk if the amount you owe is more than what the insurance company will pay out up to a maximum limit. If your vehicle is a supercar, for example a Ferrari or Lamborghini. If total loss occurred after it was taken or driven without your consent by a family member, spouse or partner. If total loss occurred when being driven with your consent by any person who is not authorised under the motor insurance policy. If total loss occurred when the car is unoccupied and is left: unlocked; or, with the windows or roof open; or with the keys inside (or on) your vehicle. 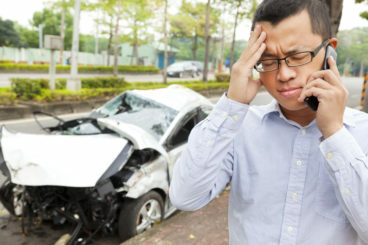 This is not the full list and if you want to know more about what GAP insurance doesn’t cover, then you can contact us. 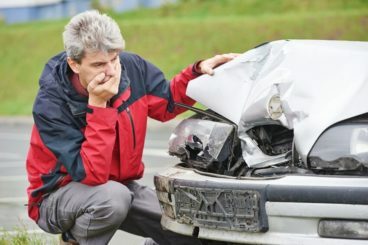 What Should I Look For When Choosing GAP Insurance? As with most car related things, it all depends on the situation. Always read the small print. Make sure the policy is fit for your needs and it has a sensible and relevant benefit cap to the amount it will pay out in the event of a loss. Any good, credible broker or GAP provider should walk you through every aspect of the GAP insurance so you know you’re getting the right cover. Whoever you decide to deal with, make sure they’re regulated by the FCA or an authorised representative of a compliance company, this means that they are reputable. 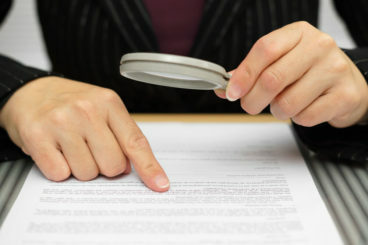 You can check out our article on how to tell if your vehicle broker is trustworthy here. GAP insurance can vary anywhere between £250 and £500. This depends on the type of cover, the length of cover and the benefit cap. It’s bought as a one off payment at the start of your lease or purchase agreement and activates on the day of delivery. There’s a 14 day cancellation period where you’ll get a full refund if you change your mind. Most GAP policies will also allow you to cancel at any time and receive a proportionate return of the premium. If you decide against it at the time of purchase but change your mind, you can buy GAP cover up to 60 days after delivery. You cannot buy GAP insurance after that. Some people don’t feel the need to purchase GAP insurance because their motor insurance policy would replace their vehicle with a brand new one following a write off within the first year. They won’t replace new for old. They will only offer the policy if you’re the registered keeper/owner. 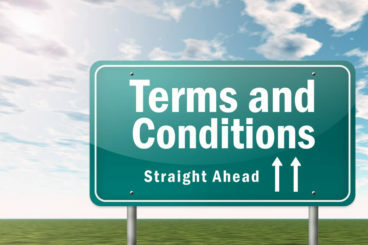 This means that if you have a contract hire agreement, you won’t be covered. Unsure about who the registered keeper is? Read our article on who the registered keeper of your lease car is here. There are tight mileage restrictions. If they can’t find a replacement, they’ll automatically revert back to the market value of the vehicle which won’t cover the finance settlement anyway. Many don’t actually offer this policy. Nothing is stated for what happens after the first year is up. Generally this means that if you write the car off after the first year, you’ll be left with nothing to cover the cost. Although the New Car Vehicle Replacement Policy does work for some people and is enough cover for them, it’s not always the case. It’s completely your choice as to whether you choose to purchase GAP insurance, combined GAP or a New Car Replacement policy and hopefully we have shed some more light on the situation.